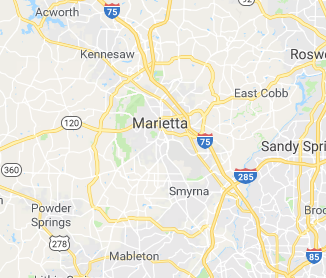 Marietta Autoglass has established itself as a premier auto glass repair service to clients within and around Marietta, Georgia. Our goal is to give customers premium quality and efficient services that’s easily accessible and at very affordable prices. No matter the issue on your car - whether it’s the front or rear windshield, door windows or other parts - our experts will take care of it and put your mind at ease. Our certified technicians are industry experts, with over 5 years experience in auto glass repair services They are trained to deliver you results that are nothing less than the very best! Cracks on auto glass are usually bigger or longer than chip damages, and depending on the impact of the debris on your front/rear windshield or side windows, it could have a vertical, diagonal, horizontal, or a cross pattern laying down across the surface of the glass. By bringing your vehicle to our local windshield repair center, (or receive a on-location response from our mobile service), our technicians can determine whether to fix it or replace it. We have the ability to repair any cracks on your car’s windshield that are from two inches long and up, and once we’re done, you wouldn’t be able to tell the difference from the pre-cracked to the fixed windshield! No cracked windshield can stop us from returning it to its pristine condition. Shatters on your vehicle’s windshield may be the cause of accidents or misadventures, but it’s something that you shouldn’t overlook. Let Marietta Autoglass help you with any auto glass problems you’ve encountered and we’ll send you off in no time after a quick and efficient repair. You can choose from our selection of OEM and custom window offerings at the lowest prices, because we offer our auto glass parts and services in affordable ranges. This means that you can get quality windshields and other auto glass parts while not needing to worry about breaking your wallet. Our expert technicians can handle any level of damage, and can get those shattered windshields off of your car, with a proper and brand new replacement. We’ve also made it our priority in using high quality, high tensile strength, water, and weatherproof sealants for all replacement windshields and auto glass parts. This ensures that time and weathering, as well as water, won’t be able to penetrate the edges of your windshield and ultimately prevent deterioration. Marietta Autoglass is here to serve you with all your auto glass needs, and with great auto glass treatment services delivered by our experts, you’ll truly be one happy customer. For the widest variety of services in the Marietta area, give us a call today and our professionals will help you navigate through your auto glass problem.